[post_content] => Drones have a rapidly growing presence at construction sites where they help verify that work has been performed properly, on time, on schedule and according to plan while reducing the subjective manual data. But a big problem that has arisen from the onslaught of drones is how can general contractors or property owners use drones to add value to what really matters – better monitoring and managing their projects and actually get useful insights out of the drone flights? Drones that just fly high over job sites are limited with their ability to capture the entire site, and imagery taken by workers from ground level are usually out of context and hard to manage. It’s been extremely difficult to bring a drone’s construction-verification imagery, especially into a 3D BIM model. But Dronomy has software that offers a robust solution to this problem. “It adds knowledge to construction,” VP of Business Development said Gil Mildworth said. Dronomy is a very exciting Israeli startup that created SiteAware, powerful technology that transforms off the shelf consumer drones into a sensor with brains that can create 3D “as built” models of construction sites just by flying a construction site. What makes this company even more exciting is their ability to get the drones to autonomously fly low and close to the actual structure, capture high-resolution data from all angles which allow for high-accuracy analysis of the construction project. Dronomy can use the aerial imagery to build 3D models that can be overlaid and compared to BIM “as planned” models. 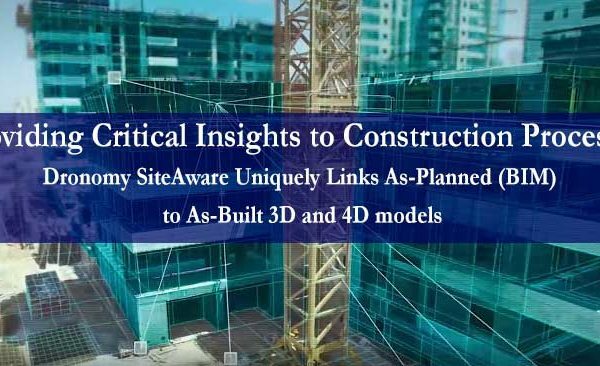 General Contractors can compare each BIM model created by Dronomy to the previous model comparing “as planned” to “as built” over time. The solution, called SiteAware by Dronomy, also integrates to the existing workflows of the GC’s to provide automated content adding visual perspectives to punch-lists and for RFIs. SiteAware automatically highlights the delta or what has changed between models so the user can easily see and document what has changed on a daily, weekly or monthly basis. “You can get half-inch-level accuracy for measurements just with simple autonomous drone scan of the work site,” Mildworth said. The software is ideal for construction sites that are building from the ground up, like commercial or high-rise buildings, and sites that have many buildings, like a large apartment complex. This is where Dronomy differentiates itself as compared to others in the market. [post_content] => If you are just starting to get your feet wet with better data management workflow for your business, here are three key aspects of data that you should consider while creating accurate reports on your KPIs. We’d like to teach you an oversimplified data workflow that works for data management, no matter what company you are in. This is how we categorize data flow when we onboard a new client. We’re going to use the airline industry to show you the different categories of data management. We should use devices to collect data. Sometimes people must collect data. But if we can use a tool it will save a lot of time and get rid of a ton of busy work. Let’s look at the airline and weather example. Instead of making people continuously report the temperature in various cities, devices collect this information. Could you imagine how much tickets would be if people had to report this data? Many times devices collect data and then people turn it into information for senior leaders to make decisions. Many employees in corporate America are “Deck Donkeys,” which means the solely create decks to share information. These Power Point decks are typical graphs, reports, etc. Taking the airline industry example, instead of someone constantly making reports on the weather and showing where there is inclement weather, the airline industry has software that automatically reports on severe weather. Based on the weather, systems can predict airport congestion, taxi times and even what runways will be available and when. You can read a blog o n how The Weather Company uses systems for prediction. Humans – Humans ultimately make the decisions. Let’s look at the airline industry one last time. After looking over the information on freezing temperatures, the information is funneled to the pilots, control towers, and airlines so they can make the best decisions for passengers. Airlines cannot change the weather, but they can mitigate the effect if they know the impact in advance. By understanding situations and the potential of their impacts ahead of time, airlines can execute time-sensitive strategies (such as flight cancellation, flight swaps, reserve crew, and etc.) to mitigate such impacts. Could you imagine what would happen if ALL this work was completed by a human? There would certainly be errors and airline prices would be even higher! With the right devices collecting the data and the right systems transposing it into information, humans can focus on making strategic decisions that will make their customers happy. That is how technology should work for us. [post_content] => Before Project Atlas became an actual possibility that could revolutionize paperless construction sites, there were two Rogers O’Brien Construction employees hoping to answer a simple question. Almost all general contractors are still using this paper system, Wynne said. It's combersome and can take a long time to identify problems. It’s the equivalent of finding the road you are on with a paper map while driving through Chicago or Dallas. HingePoint covers the AEC Industry and is the author of The AEC Industry 4.0 Report and the Autodesk Industry Report 2017. HingePoint helps construction and real estate development companies take control of their company’s information. We combine systems, software, and data so all company information can be seen and accessed from one screen, like a smartphone or computer. [post_content] => As SharePoint consultants and integrators, we find and are constantly trained on how to best use the SharePoint platform. If you do not know, SharePoint has been sold since 2001. The Microsoft platform was created to manage company documents. These days it is packed with benefits for your business. Our guru project manager has been learning about SharePoint and these are some the practical and simple tips and tricks he has found through training and by heads-down, hard-work with customers. When you see the settings icon in the upper right corner of your screen, it gives you access to all of the site contents and all the specific site settings for THAT specific page. Best practice: do not create more than 8-12 subsites below the top level. In Sharepoint 2016, you now have the ability to upload files with special characters in the title. Users can go to Recycle Bin to restore any deleted contents. Users can go to Site Settings/ Look and Feel to change how SharePoint looks out of the box. Change formatting, background pictures, and color schemes. It also has many preloaded templates available to make Sharepoint more exciting. 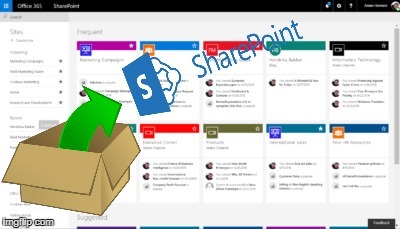 You can also upload a picture to the Sharepoint title in the top navigation. 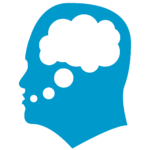 Learn how we can make your SharePoint better or contact us for a quick, free consultation. [post_content] => David Greenleaf, a diehard Dallas Cowboys fan, visited the team’s new world headquarters recently and was so excited he told all his Facebook friends he was going to become a member of the gym at the facility. But this isn’t in Arlington where one of the most spectacular stadiums in the world sits; it’s in Frisco. The Cowboys recently built The Star in Frisco, which is a 91-acre campus that hosts the world headquarters of the Dallas Cowboys. In addition to playing home to the corporate offices and practice facility, The Star in Frisco features the Ford Center—a state-of-the-art indoor football stadium that will host a variety of events, an entertainment district lined with restaurants and shops, the Omni hotel, a medical center and more. The Star in Frisco offers an experience for fans worldwide to take a look inside the entire operation of the Dallas Cowboys and to workout like a Cowboy. It’s no secret that Collin County is rapidly growing with major developments like Legacy West and corporate offices in Plano and many developments surrounding the Star in Frisco. Because of the development, Frisco is getting its first high-rise building, and three other developments will be built in the area. The area in known as the $5-billion mile because it is seeing more than $5 billion in capital investment. Also in the same area is Frisco Station, developed by Rudman Partnership, Hillwood Properties, and ValTrust Real Estate. It’s 242 acres, mixed-use development, which includes, office, retail, restaurants and hotels. Dubai-based Invest Group Overseas are also developing mixed-use area to feature luxury residential, retail and office space. The mixed-use luxury development to be located on nearly 41 acres at the northwest corner of the Dallas North Tollway and future John Hickman Parkway. IGO’s corporate leaders introduced the project Sunday in Dubai, at Cityscape Global, one of the largest international real estate development and investment events in the world. Thomas Land & Development is developing 175 acres of mixed-use land as well. The initial 110 acres of Wade Park are under design by Wakefield Beasley & Associates architectural firm, developing village featuring 600,000 square feet of high- end specialty retail, including a 45,000 square foot Whole Foods Market. Entertainment venues for bowling, movies and nightlife will be announced in the coming weeks, and a boutique hotel and a luxury hotel are also in the development plan. Download our BIM_Comparison Table here. 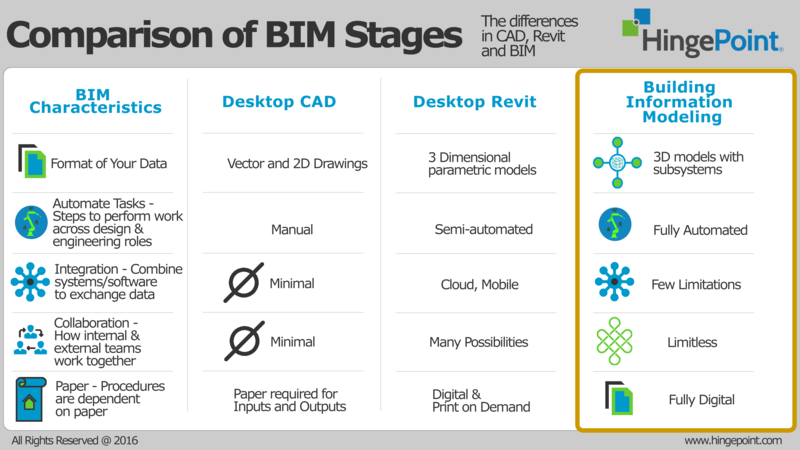 See where you are on to the path to BIM. The idea to be fully digital while printing on-demand, fully automated and able to collaborate with virtually anyone on a project. [post_content] => Having the right data in your Revit or BIM model translates into power. HDR is an architecture, engineering and consulting firm that was founded in 1917. It’s employee owned with 10,000 employees. The firm has worked in all seven continents and has done notable projects like the Hoover Dam Bypass, Fort Belvoir Community Hospital and The Roslin Institute. HDR currently does a lot of work related to health care spaces, science and technology and education and civic spaces. The way HDR uses data to inform design has changed the most. The firm uses a lot of parametric models, but the goal is always to match what is in the field with what is in the model. 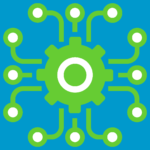 By using virtually any software platform available in the market, teams find which platforms will inform the design they do. James Bates, an HDR engineer, said they deliver a lot of their requirements and information through Revit. But they do not solely rely on it. They are constantly in the field checking things against their designs. Bates said the company has been able to sustain its technological advantage through new recruits. Extend Revit functionality with Revit Plugins and improve your productivity. We help our clients customize and deploy Revit plugins that automate key tasks, improve work efficiency and reduce errors leading to improved results and higher profit. If you are not looking for a custom plugin, you might want to try our standard Revit plugin in the Autodesk App Store. [post_content] => The largest urban village development—Legacy West—opened in Plano on Friday. Collin County is now known for its booming economic landscape, however, the opening of Legacy West, a $3.2 billion dollar development, has set a new standard in commercial real estate for the area. Legacy West is a 225-acre project with hotels, restaurants, high-end shops and apartments residing along Dallas North Tollway and State HWY 121. Because of the massive development, corporate offices like the new Toyota North America headquarters, Liberty Mutual and FedEx will surround the developments, bringing a surge of new jobs to the area. The grand opening planned by DFW Events and Legacy West, showcased treats by Sprinkles Cupcakes, signature cocktails, live entertainment and food all proving to be as big as the Texas-sized state. The streets at Legacy West are lined with restaurants of all varieties, from upscale dining like Dallas’ favorite Del Frisco’s Double Eagle Steak House, sister restaurant’s True Foods and North Italy to the all so popular Shake Shack. There will also be a five-story cafeteria and brewery. North Italia and True Foods are owned by Fox restaurant concepts, a culinary group of multi-faceted restaurants whose mission is to reinvent the way people experience food. One of the keys to their success is finding the best locations. "We were obviously very particular about what markets we went into," said True Foods general manager Amy Adams. "It has to be a market that is going to understand and appreciate everything we do, and how can you look at this development and not want to be a part of it?" True Foods was the chosen location to host the VIP ribbon cutting ceremony and featured a special cocktail for the event. Retail shopping was also a large part of the allure with big brand names like Tesla Motors, West Elm and Johnny Was a boho-chic boutique from Los Angeles. "I think it is going to bring in a whole new dynamic to the area and taking Plano up a notch," said Louri Campbell, assistant manager at Johnny Was. "We are excited to be a part of such a progressive and unique development because there is really nothing like this going on in North Texas." Development in North Texas is not slowing down, suburban areas like Plano and Frisco are currently at a pinnacle of growth; take for example The Star in Frisco, the new Liberty Mutual building and Toyota’s headquarters. The opening of Legacy Plano West is just proof that everything is bigger in Texas. [post_content] => An economist recently said that America has not had a technological revolution since the computer. We at HingePoint were floored! Working as a BIM consultant in architecture, engineering, and construction, we know this is inaccurate. Just listen to Autodesk’s Senior Vice President Amar Hanspal who recently spoke at the Forge Devcon 2016 conference. But he’s not the only one saying this. So what the heck is the fourth? Well… it’s not just one new technology. It’s a bunch of technology converging that will transform government, business and life as we know it. Professor Klaus Schwab is the Founder and Executive Chairman of the World Economic Forum. He published a book The Fourth Industrial Revolution. So what will this revolution bring the AEC Industry? Schwab from the World Economic Forum says that this will dramatically affect the AEC Industry. Let’s give you a practical example of what Schwab is saying. Right now we are able to make 3D designs of our buildings. We can look at these designs on our smartphones. It reduces mistakes because construction crews can see how the building should be built instead of guessing based on 2D-paper drawings. What’s already happening is construction crews and architects are using augmented reality, virtual reality and computer-aided manufacturing. Think about the Pokémon GO app. If you ever used it… you know that the app uses your camera and then puts a Pokémon GO on your screen. This is exactly what can be done for the construction industry. But instead of seeing a Pokémon GO you can see your 3D model on a plot of land. Or—as the picture above shows—it can show you how specific parts of the building should look. In the picture, the construction worker is looking at where a light should go on the ceiling. With augmented reality he can see it clearly. Big firms are starting to use virtual reality to show off designs of their buildings. Customers can actually walk through their building and see it in true 3D before ever building it. This lets them know what it will look like and if they approve. This is the biggest transformation of this revolution. We are connecting machines to “talk” to one another. What this means is that my 3D BIM model can “talk” to a manufacturer’s machines. In theory, once information about the project is shared, the manufacture’s machine can automatically start cutting or creating whatever is needed without human interaction. So a saw can be connected to the Internet and get instruction on what and how to cut based on your model. The following functions can be used in computer-aided manufacturing: sawing, laser cutting, flame and plasma cutting, bending, gluing and routing and milling. Here’s a good article on CAM. Now maybe that economist that spoke to NPR didn’t think we were here yet. Okay… we will let it slide, buddy. But you cannot miss this next revolution that is starting… now. Let’s close with a rhetorical question. Do you remember those companies that said no to the computer, no to email, no to the Internet? Neither do we. They were left behind. If you want to take some simple steps to prepare so you are not left behind…. you can download our simple roadmap by signing up to our email list. It will teach you very simple steps to take to go from paper to a full BIM model. Whether you're working with paper or already using digital files, you can learn necessary steps to launch your company's processes with new technological capabilities. This road map gives you the fundamental steps you need to take to transform your business. [post_content] => At Procore Groundbreak 2017, our team saw some awesome stuff, from drones collecting information for new software to integrated solutions that give you the ability to combine 2D and 3D in one BIM model. Procore is growing. We’re going to see a lot more of them in the near future and they are positioned to be the powerhouse for construction software and technology. 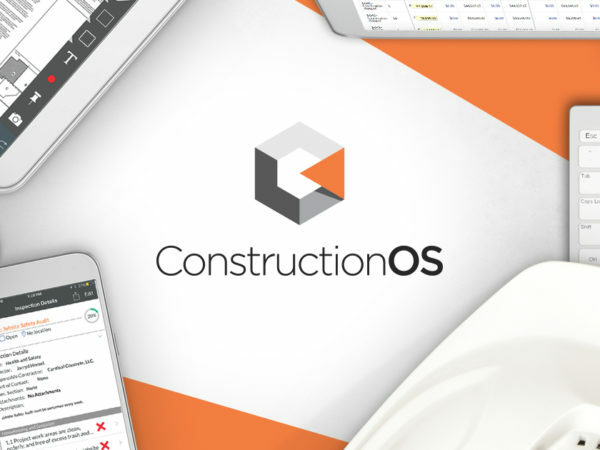 It’s their main focus and goal to be the only project management software solely dedicated to construction. Procore is taking over the world, and they are just getting started with new international offices popping up across the globe. And with more than 100 apps in their new app store, Procore is going to continue to innovate and give its customer base more functionality and benefits in months and years ahead. Here’s out top six list. Not only are drones a trend for construction, but they were in full force at Procore's Groundbreak. Several companies are capitalizing on the safety and ease of drones and are hoping to organize drone data to benefit construction firms. Read more about what drone companies were at the Procore event. busybusy wants to be the go-to, time-tracking application for the mobile, construction workforce.With cost codes, photo updates with notes and location-based time tracking, busybusy wants management to have up-to-date information about work in the field and the cost and time projects are taking. Fieldlens, a communication platform for construction crews that is like Facebook, urges workers to ditch the notepad and go digital. Fieldlens wants general contractors to use the social-media-sharing platform to document every conversation, assignment and decision on the job site. Matterport helps contractors, engineering firms, and architects document construction with a $3,600 camera to give you a 3D virtual tour. Matterport’s Pro Camera captures 2D photography and 3D data from job sites, and automatically stitches them into a complete, immersive 3D model. Imagine if you could tell exactly what has changed in your project with a push of a button. That’s exactly what Assemble Systems allows you to do with their software. We think Assemble Systems is simply amazing. They give you instant #BIM model comparisons with their software. Instantly see what has changed and pivot. Only have five minutes for takeoffs? No problem. Log in. Get your information. Get back to work. And they link everything! Read more here. Procore launched the construction industry’s first and only construction-only platform, which aims to help its customers gain deeper insights from data and provide new services from other companies. The new OS allows other companies—even those that appear to be competitors—to integrate with its more open APIs. It's an exciting time to be working for and with Procore! [post_content] => If you've watched any television this Christmas season, then you've seen a lot of ads running about virtual reality headsets. They are the hot item this Christmas. However, virtual reality headsets don't just make a good gift, they are going to completely change how real estate developers show properties and construction companies do work. They actually make Building Information Models truly 3D. Below you'll find a price comparison and two videos we created on headsets while at Autodesk University 2016. Operating software is a mobile phone and it has to be Samsung. The performance and visual experience all depends on which Samsung cell phone you are using. Uses a 2160 x 1200 resolution, working at 233 million pixels per second, with a 90Hz refresh rate (matches HTC Vive for refresh rate). Don’t need a lot of floor space to use the product. Blends virtual and augmented reality to make one of the most ambitious launches ever planed. The device merges real-world elements with virtual ‘holographic’ images, meaning you can look at your Minecraft world on your kitchen table, or walk around the surface of Mars in your living room. Check out our DAQRI Smart Helmet review from Autodesk University 2016. HingePoint covers the AEC Industry and is the author of The AEC Industry 4.0 Report and the Autodesk Industry Report 2017. HingePoint helps construction and real estate development companies take control of their company’s information. We combine systems, software, and data so all company information can be seen and accessed from one screen, like a smartphone or computer. We specialize in BIM, 3D modeling, virtual reality (VR) Augmented Reality (AR) systems integration for construction and commercial real estate development.